Neanderthals were capable of sophisticated, collective hunting strategies, according to an analysis of prehistoric animal remains from Germany that contradicts the enduring image of these early humans as knuckle-dragging brutes. The cut marks—or "hunting lesions"—on the bones of two 120,000-year-old deer provide the earliest "smoking gun" evidence such weapons were used to stalk and kill prey, according to a study the journal Nature Ecology and Evolution. Microscopic imaging and ballistics experiments reproducing the impact of the blows confirmed that at least one was delivered with a wooden spear at low velocity. 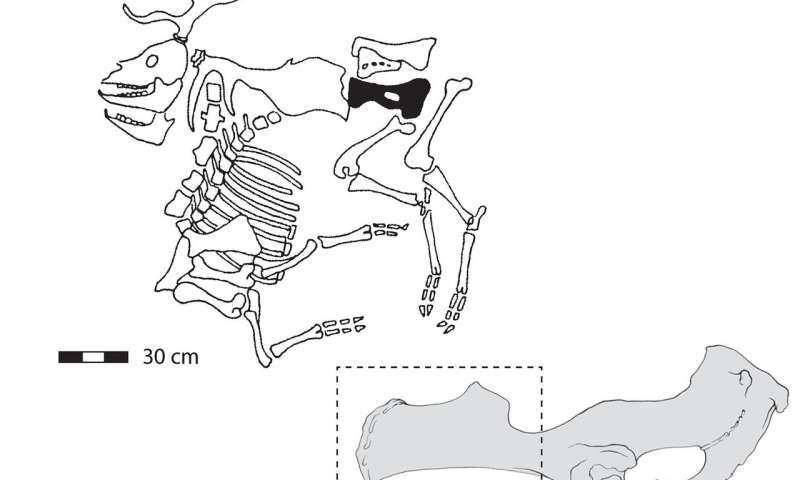 "This suggests that Neanderthals approached animals very closely and thrust, not threw, their spears at the animals, most likely from an underhand angle," said Sabine Gaudzinski-Windheuser, a researcher at Johannes Gutenberg-University Mainz, Germany. "Such a confrontational way of hunting required careful planning and concealment, and close cooperation between individual hunters," she told AFP. Neanderthals lived in Europe from about 300,000 years ago until they died out 30,000 years ago, overtaken by our species. It was long thought that these evolutionary cousins—modern Europeans and Asians have about two percent of Neanderthal DNA—were not smart enough to compete, and lacked symbolic culture, a trait supposedly unique to modern humans. But recent finds have revealed a species with more intelligence and savoir faire than suspected. They buried their dead in ritual fashion, created tools, and painted animal frescos on cave walls at least 64,000 years ago, 20,000 years before homo sapiens arrived in Europe. Hominins—the term used to describe early human species, as well as our own—most likely started hunting with weapons more than half-a-million years ago. 300,000- to 400,000-year-old wooden staves found in England and Germany are the oldest known spear-like implements likely used for killing prey. But there was no physical evidence as to their use, leaving scientists to speculate. The new find from the Neumark-Nord area of Germany removes that doubt, said Gaudzinski-Windheuser. "As far as spear use is concerned, We now finally have the 'crime scene' fitting to the proverbial 'smoking gun'," she said. Lake shore excavations from the same site since the 1980s have yielded tens of thousands of bones from large mammals, including red and fallow deer, horses and bovids. They have also turned up thousands of stone artefacts, attesting to a flourishing Neanderthal presence in what was a forest environment during an interglacial period 135,000 and 115,000 years ago. 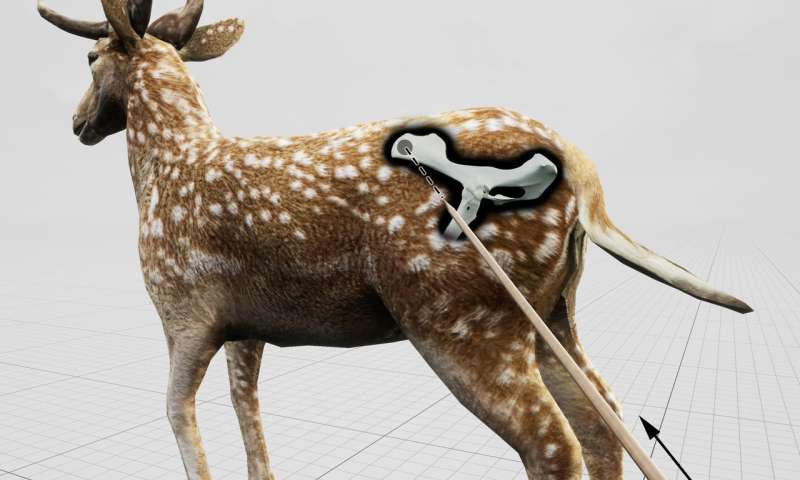 The old deer bones examined for the study were unearthed more than 20 years ago, but new technologies helped unlock their secrets: which injuries were lethal, what kind of weapon was used, and whether the spears were thrown from a distance or thrust from close up. 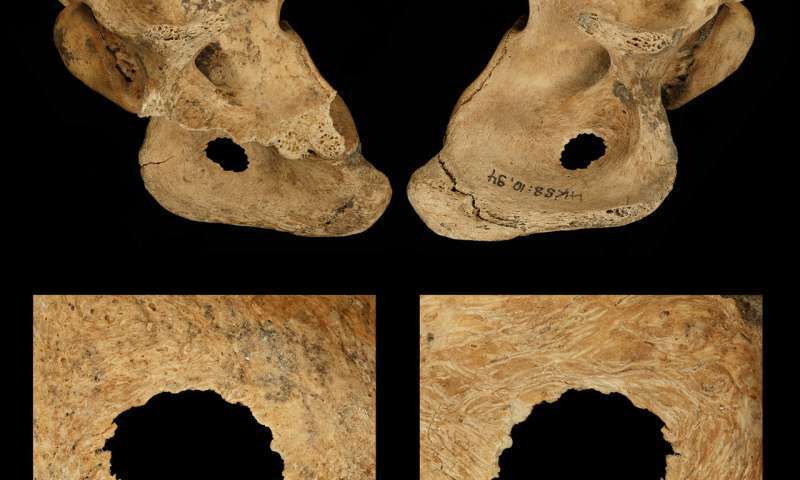 The damage done was also especially pronounced, making "the forensic style replication and analysis in this paper possible," wrote Annemieke Milks, a researcher at the Institute of Archaeology at University College London. "The ballistics work is experimental archaeology at its best," she commented, also in Nature Ecology and Evolution. We should also allow for the possibility that Neanderthals threw their spears as well, she added. "contradicts the enduring image of these early humans as knuckle-dragging brutes." -Uh I think this perception went the way of the flat earth.